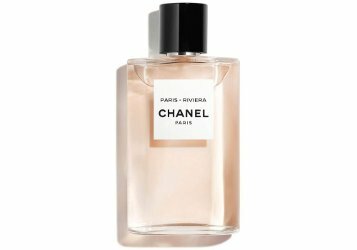 Chanel will launch Paris-Riviera, a new limited edition fragrance in the Les Eaux de Chanel collection. Paris-Riviera was developed by Chanel house perfumer Oliver Polge, and was inspired by the Côte d’Azur of the 1920s. The notes include orange peel, petitgrain, neroli, orange blossom, jasmine, benzoin and sandalwood. Les Eaux de Chanel Paris-Riviera will be available in 125 ml Eau de Toilette. It will be sold for one year starting in June. The notes sound promising, and in Chanel’s wheelhouse! I like the Eaux series, they are relatively simple but still low key sophisticated. Do you know if the previous three Eaux are LE? I have been going back and forth about purchasing Paris-Venice, maybe it’s time to make up my mind.. They were not announced as such and are not listed as LE on the Chanel website. But that is not definitive of course. Ooooh, definitely on the “must try” list. They did a really good job with the first three. Benzoin and sandalwood sound a little heavy, but the others hit an interesting sweet spot with making colognes out of weightier materials. I’ve seen the first three Les Eaux at Nordstrom. I love Deauville and Venise so I’ll be eager to try Riviera when it hits the stores. I wonder if they will ever take their Les Eaux inland , away from the coast and do something based on Switzerland , in reference to the time spent at Lausanne ( I think she is buried there). A nice mountain fresh, alpine lake or vineyard lakeside scent.